We love fun and simple printable activities for kids. 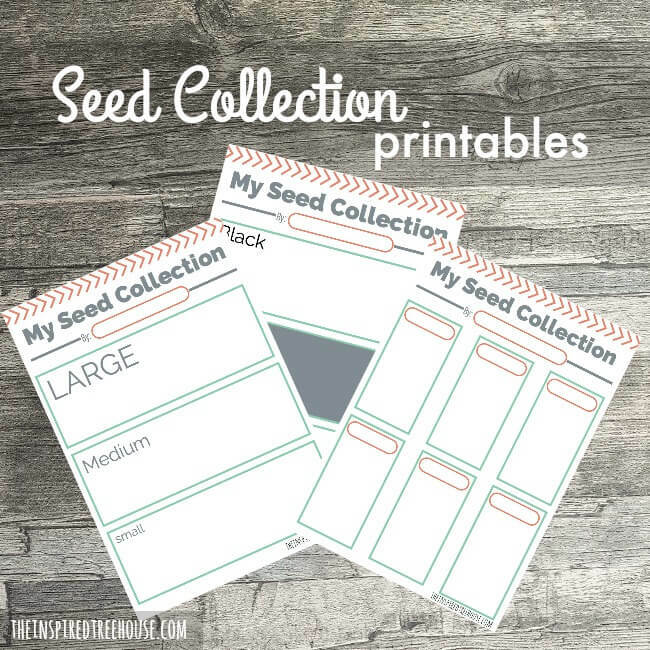 These seed collection printables are the perfect way to say hello to spring! I’ll admit it. I don’t have much of a green thumb. I’ve killed more houseplants than I care to remember and last year our vegetable garden yielded a whopping six cherry tomatoes – and that was it. Luckily, there is still lots of fun to be had with seeds, leaves and flowers outside of the garden with all kinds of great fine motor activities. Today, we’ll challenge fine motor, grasping, manipulation, and visual skills while using up those leftover seeds! These simple printable activities for kids will allow kids to sort and categorize seeds in a variety of ways, working on visual discrimination skills as well as fine motor coordination. 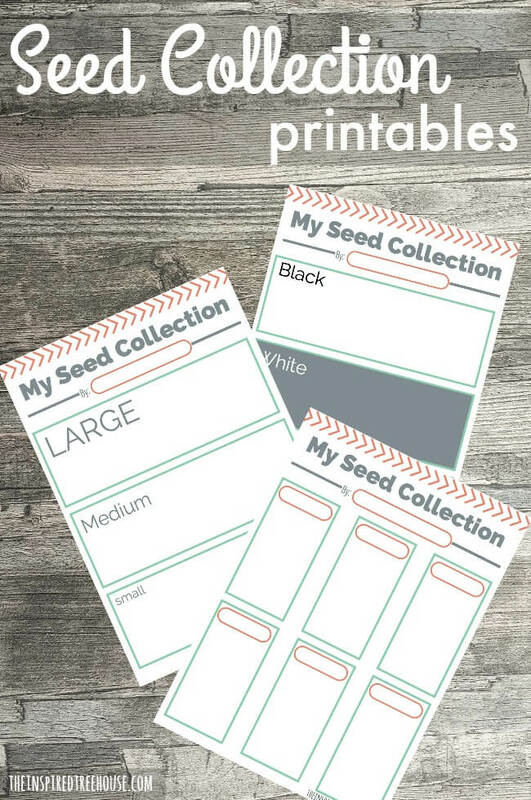 1-Simple seed collection: First, look through and explore your seeds with your child. Talk about what a seed is, how it grows, and his favorite foods that come from seeds. Have your child write his name on his seed collection page. Then, have him glue 5 or 6 of each type of seed into each box. Have him label each box with the name of the seed that he glued inside. 2-Sort by color: Now, have your child try sorting his seeds by color. Most are black or white…what other colors can you find? 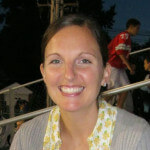 3-Sort by size: Last, your child will sort his seeds by size, classifying them as small, medium, or large. 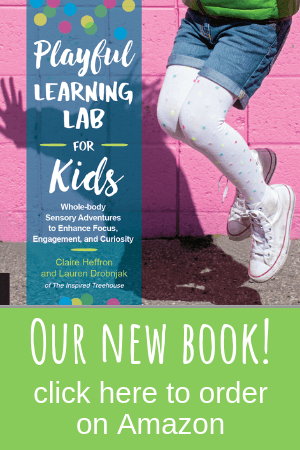 -Kids have an easier time grasping small objects when they’re presented to them rather than having to pick them up from a smooth table where they can slip around. Try placing several seeds in your hand and allowing your child to pick one up at a time. -For younger kids or kids who have more difficulty with grasping and fine motor coordination skills, use larger seeds like pumpkin, sunflower, etc. I love this way of exploring seeds before you even start planting with them! You mention about this topic is very good for children. now i will share this article. I like this activity. Its a really unique activity for children.